This article is addressed to our office from Terri Scheer Insurance and is worthy of publication for your perusal. Terri Scheer latest premium (which is Tax deductable) is $322/year. Our Landlord Preferred Policy (LPP) is primarily designed to cover tenant related losses such as damage and loss of rent. If however your tenants vacated at the end of their tenancy, left the property in a satisfactory condition and have paid all rent owing, what do you do if squatters break in and damage the property? Squatters can cause all sorts of unwanted damage including forced entry to doors and windows, kicking and punching holes in walls, ripping up carpet and spraying graffiti – the list goes on and on. It’s important to understand that the LPP will provide some limited cover against squatters in respect to damage they may cause to the landlord’s contents (carpets, blinds etc. 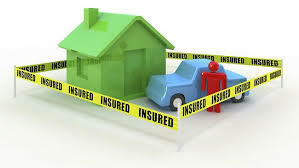 ), however any damage to the building itself will be at the landlord’s expense unless they have a suitable building insurance policy. Our Residential Building Insurance Policy (RBI) is specifically designed for owners of residential investment properties and is tailored to complement the cover we offer under the LPP – it caters for specific losses that are not typically covered by owner occupier building policies. In the unfortunate event a squatter was to break in and damage your landlord’s property our RBI policy would protect them against losses arising from any malicious acts. It would also offer protection for their rental income should the damage render the property untenantable for a period of time (up to 52 weeks). • take steps to make the property looked lived in i.e. clear the mail, mow the lawns and put the bins out. Remember that your landlord’s property is likely to be one of their most valuable assets; they should be aware of the risks they face, and aware that there are options available to protect their investment.